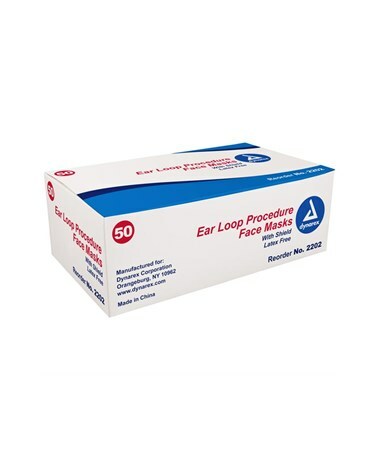 Dynarex Face Masks with ear loops are designed for ease and quickness of use. 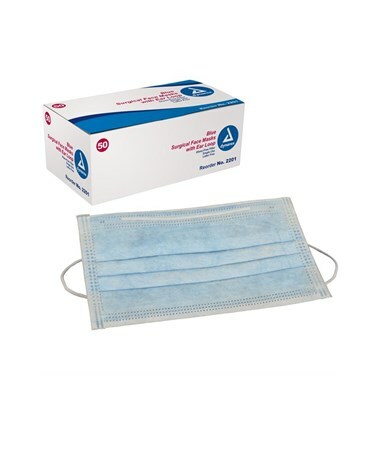 This blue, pleated face mask has a glass-free filter. 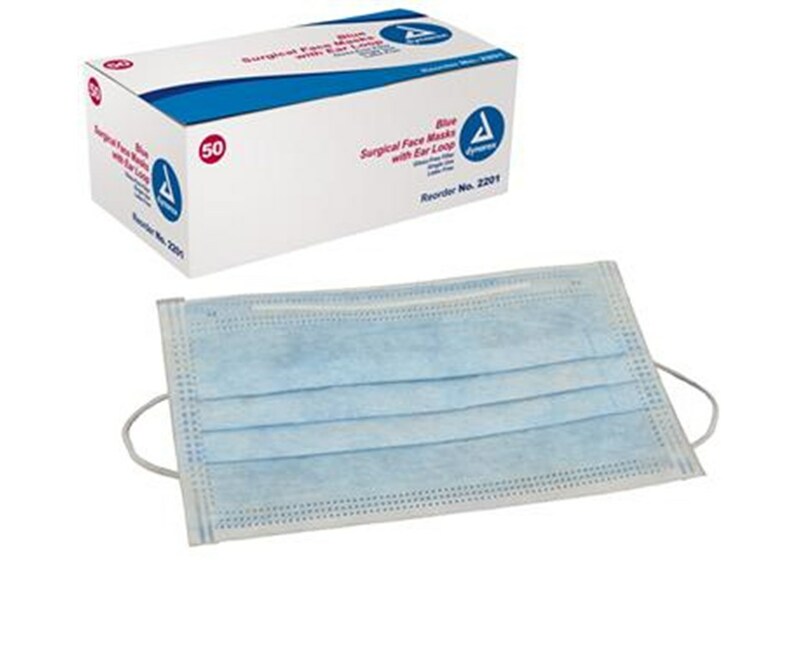 Optional clear wrap around face shield decreases risk of exposure of eyes and face to blood and body fluids during procedures. 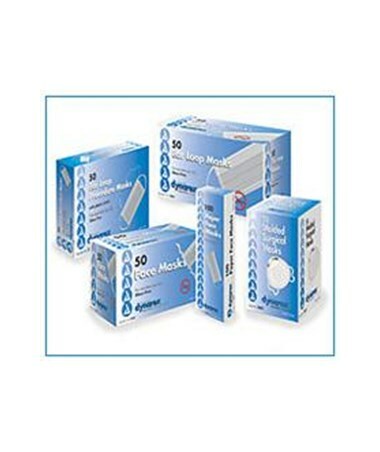 Dynarex Face Masks are latex free decreasing risk of allergic reaction in medical personnel and patients.